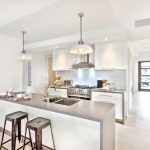 Your home’s bathrooms and kitchen are more than just highly practical spaces, they can be some of the most luxurious and beautiful rooms in your home. The combination of beauty and function means that choosing the right tile is one of the most important things you can do for these spaces. Before you start thinking about the colours you want in your bathroom or kitchen, you should consider the tile material. Look for materials that are highly durable, moisture-resistant and stain-resistant. Some of the best materials for bathrooms and kitchens include ceramic, natural stone, porcelain and terrazzo. Consider whether you might want a different tile material for the shower interior, your floors, backsplash and anywhere else you plan on installing tile in your bathroom or kitchen. Once you’ve chosen the tile material, then you can move on to colour. Some tile materials may limit your colour options slightly, but there are many options available to match your style and the look you want to achieve. Darker tiles may show dirt more easily, so keep this in mind before tiling your whole room with a black tile. For kitchens, consider what tiles might match or contrast with your cupboards. Gone are the days when medium-sized, square-shaped tiles were your only option. No matter what kind of tile you choose, your options for size and shape are almost endless. You can select large, rectangular slabs to cut back on the amount of grout maintenance and to give a more seamless look, or go for smaller, hexagonal shapes to add style and dimension to your kitchen or bathroom. When it comes to finding the perfect tile for your space, colour, shape and size aren’t the only important style considerations. The texture of your tiles can have a huge impact on the look of your space, as well as its maintenance requirements. Smooth tiles are slightly easier to clean than tiles with more texture, but texture adds visual interest that can be appealing. Also consider whether you prefer the look of a glossy tile to a more matte finish. Choosing the right tile doesn’t end with the tile itself — you’ll also want to consider the colour of the grout. Many homeowners think that grout comes in two colours: beige or white. While these are both popular and versatile choices, they’re not your only options. Homeowners that prefer something less high-maintenance might want to choose a grout that’s slightly more grey, while a black grout can make a stunning and modern choice for white bathroom tiles. 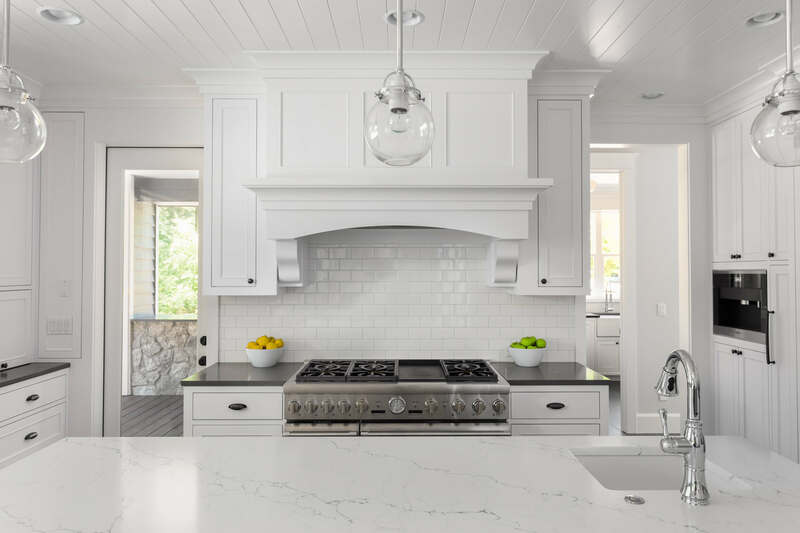 No matter what your style or maintenance preferences, Strassburger Tile Perfection is here to help you find the best tile for your kitchen or bathroom. Contact us today to get started.